The Tim Crahart Blues Band play a range of Blues-based material from traditional Delta & Chicago Blues to modern Blues Rock. However, the bands real speciality is Gospel Blues and, as well as penning new tunes in this vein, they love nothing more than searching the back catalogue of artists such as Blind Willie Johnson and Rev Gary Davis to breathe new life into their old Gospel Blues tunes. The bands original songs are influenced by Eric Clapton, Peter Green’s Fleetwood Mac, Stevie Ray Vaughan and Gary Moore. When the band formed they made the decision to play songs which didn’t compromise their Christian beliefs, so out went the usual Blues songs about getting drunk, cheating on partners and shooting people, in favour of songs which were in line with the honesty and integrity that the band has become known for. It was this approach that inspired the title of the band’s first CD, ‘No Drinkin-No Cheatin-No shootin’. The CD consisted of 14 tracks which were a mixture of covers and original tunes. Notable tracks are, ‘You Got to Move’, ‘This Train’, ‘Everyday’, ‘King’s Highway Blues’ and ‘John The Revelator’. In 2012 the band went back in the studio to record the follow up to their debut CD. This time entitled ‘Isaiah 61 Revisited’, the band displayed a rockier edge with tracks like ‘Refugee Blues’, ‘God Don’t Never Change’, ‘Keep Your Lamp Trimmed’ and the title track itself. Other set favourites include the Blues Ballad ‘Darkest Hours’, ‘Jonah’s Blues’ and the singalong ‘Blues, Blues, Blues’. 2014 saw the band return to the studio for a third time for another round of originals and re-packaged traditional Gospel Blues songs. The covers include ‘Jesus on the Mainline’, Blind Willie Johnson’s ‘Soul of a Man’ and ‘Motherless Children’ and a mash-up of Rev Gary Davis’ ‘Great Change’ and ‘Steppin’ Out’, as famously covered by Eric Clapton & John Mayall on the Beano album. Newly penned tune ‘God Meant it For Good’ is a retelling of the story of Joseph, complete with a Wah-Wah drenched riff, and the swinging ‘Good Woman Blues’ with lyrics from Andy, comes by way of Proverbs 31. The ballad, ‘Lady Gets the Blues’, is very much in the mould of Gary Moore and the title track ‘Blues Like a Prayer’ is a heartfelt tune from Tim and the guys, augmented by the Gospel Choir of God’s House band from Bristol. 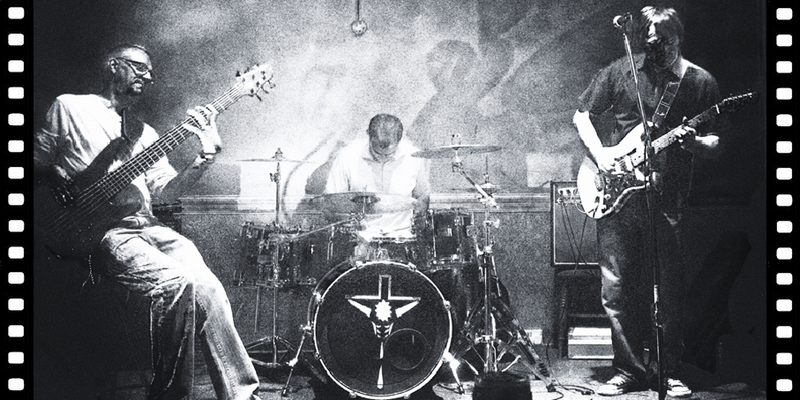 The band’s live shows portray a surprisingly upbeat side of the Blues, with passionate delivery and good humour. Tim’s guitar playing clearly evidences the influences of his heroes and is accompanied by his powerful vocal style. The rhythm section of The Deacon (Andy Long) on Bass and Harvey Philpott on Drums, and occasionally rhythm guitar, evidences a band as much at home playing a Jazzy swing tune, a slow Blues or an up-tempo rocker. Whether you’ve checked the band out because you like their lyrics or you just love the Blues; either way you won’t be disappointed. Really enjoyed gig at Bogiez. Great stuff – looking forward to seeing you again. Thanks guys.